What is the buzz about gluten these days? Every other person is talking about gluten intolerance or gluten sensitivity. What is it? Over 20 million Americans experience stomach problems from gluten. A number of people also complain of celiac disease (CD), which is an autoimmune disorder caused by gluten sensitivity or intolerance. However, gluten doesn’t rattle the guts of each one of us, but only affects people with celiac disease. This means gluten isn’t all that bad for everyone. It is not good for people with CD. In CD patients, these proteins are absorbed in the small intestinal walls. As a result, the immune system mistakes these proteins as intruders, starting a furious, tissue-damaging inflammatory response. In normal human beings, small bowel comprises villi or finger-like projections, which produce digestive enzymes. However, in celiac disease patients, the misguided response from the immune system attacks these villi. As a result, these fingerlike projections produce fewer digestive enzymes while absorbing less nutrients. Such reaction of the immune system can damage the intestinal tract, leading to various digestive problems, nutrient deficiencies, and increased risk of diseases. In celiac disease, small intestine is inflamed and gluten causes it to leak, resulting in diarrhea, anemia, weight loss, and osteoporosis. There is also a risk of bowel cancer. Gluten is derived from the word glue, as it has glue-like properties. It is a term used for the proteins found most commonly in grains, such as wheat, barley, and rye. In simple words, gluten acts as glue that helps foods maintain their shape. The two sub-proteins, including gliadin and glutenin, form strands when it comes in contact with water, which strengthen dough. It gives elastic properties to dough and allows breads to rise upon baking. These proteins create pockets in the dough that trap air released from leavening agents. Compared to European wheat, North American wheat contains higher gluten content. 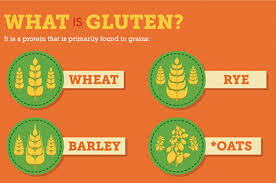 · Gluten can cause intestinal problems and inflammation and degeneration of intestinal lining. · It may have compromise the barrier function of the small bowel, thus raising the risk of leakage of unwanted substances into the bloodstream. However, it is still unclear whether this condition only affects people with celiac disease or also those with no celiac disease but gluten intolerance. · It may raise the risk of irritable bowel syndrome. · It may cause a leaking gut. · Many neurological problems may result from gluten sensitivity in some patients – known as gluten-sensitive idiopathic neuropathy. · Cerebellar ataxia is a serious disease of the brain that is claimed to be partly caused by gluten. In this condition, the patient is not able to coordinate movements and balance and experiences communication problems. · Gluten ataxia is directly linked to gluten intolerance, which involves irreversible damage to cerebellum. · Epilepsy, autism, schizophrenia are known to respond well to a gluten-free diet. · Gluten may have opioid-like effect on some people and cause cravings for wheat and related cereals. · It is related with many autoimmune diseases, such as Hashimotos thyroid, multiple sclerosis, type 1 diabetes, among others. Some people with no celiac disease may also get gluten intolerance. In such patients, there is no attack on the body’s own tissues. But many symptoms are similar to that of celiac disease. The patient may experience fatigue, bloating, diarrhea, stomach pain, ands pain in the joints and bones. Wheat is listed as one of the top food allergens, besides milk, soy, tree nuts, peanuts, shellfish, fish, and eggs. If you are intolerant to wheat, you may still have some chance of returning to using wheat after a short break. Unfortunately, if you have developed wheat allergy, there is no point of return. 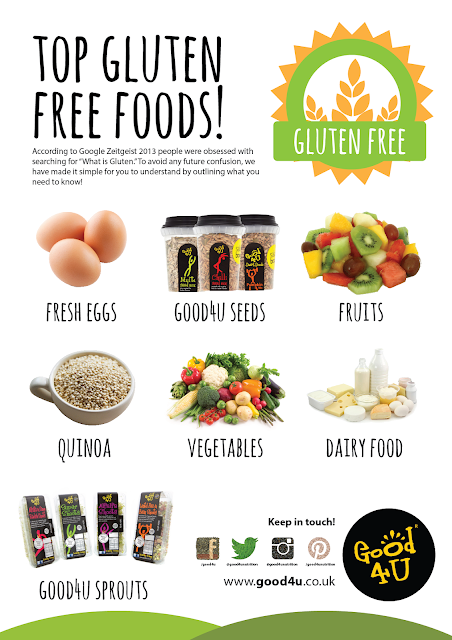 Gluten-free foods are produced with gluten-free grains, which include quinoa, corn, tapioca, rice, teff, and oats. 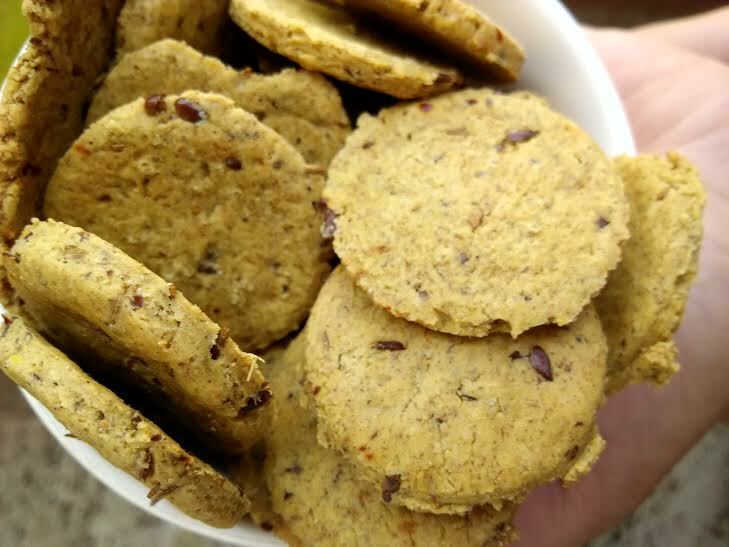 High in iron, protein, and fiber, chickpea flour/gram flour (besan) is a gluten-free food, which is tasty and has an awesome flavor. Who Needs To Go On A Gluten-Free Diet? If you have gluten sensitivity or intolerance or celiac disease, the best option may be to go on a gluten-free diet. Celiac disease causes inflammation of the lower gastrointestinal tract. French fries, energy bars/granola bars, potato chips (especially those with seasonings containing wheat starch or malt vinegar), candy, processed lunch meats, soups that use cream and flour as a thickener, salad dressings and marinades, starch or dextrin, brown rice syrup that uses barley enzymes, imitation food, meat substitutes made with seitan, soy sauce, self-basting poultry, cheesecake filling, pre-seasoned meats, beers, malt beverages and vinegars sourced from gluten-containing grains. People with celiac disease are excessively intolerant to gluten and develop gluten sensitivity or allergy. As a result, they must remain on a strictly gluten-free diet all through their lives. If such persons accidentally end up eating a gluten product, they may experience severe symptoms in the form of abdominal pain or diarrhea. If you have celiac disease, you may experience severe reactions from gluten, which could even cause extreme complications, such as small intestinal cancer.